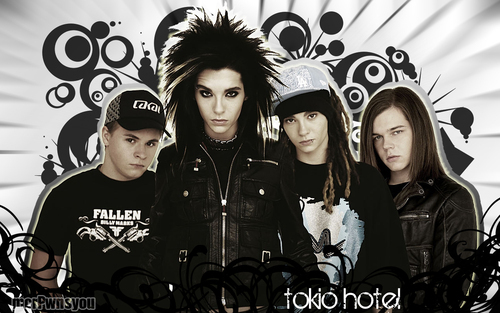 TH. . HD Wallpaper and background images in the Tokio Hotel club tagged: tokio hotel th tom bill kaulitz georg gustav. This Tokio Hotel wallpaper might contain ऊपर का कपड़ा, overclothes, ऊपरी वस्त्र, ओवरक्लाइट, बॉक्स कोट, सड़क, शहर के दृश्य, शहरी सेटिंग, शहर दृश्य, and शहरी की स्थापना.